Creatures of the Night returns with more scares and spooky frights at ZooTampa. The Zoo will once again transform into an eerie and immersive Halloween adventure with bigger and better events for ghouls and goblins of all ages. On Fridays and Saturdays from October 5-27, the Zoo stays open late and animals lurk in the night until 10 p.m. with a wide-range of Halloween-themed activities sure to have everyone howling at the moon. 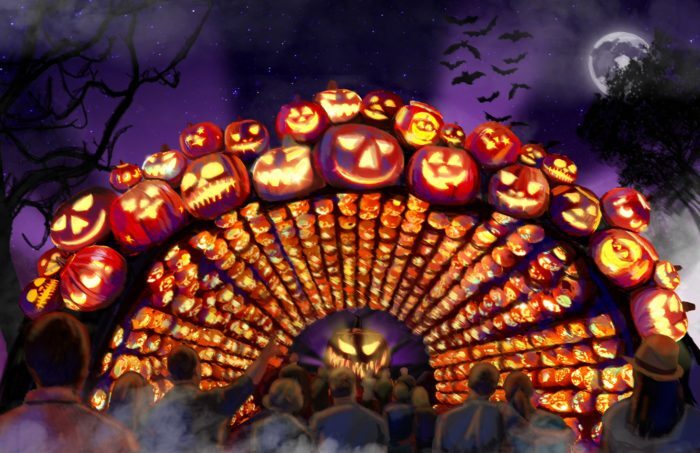 Check out these spook-tacular tips to make a tremendous night of fun! 1. No horror or gore, just fun frights! This event is family friendly, there are no gory creature’s just spooks and startles for all. Creatures of the Night does not include haunted houses but will debut a new scare zone experience and some of last year’s eerie, frightful favorites will return. Older kids, pre-teens and adults will have the chance to encounter an all-new scare zone, “Whispering Woods” – a frightful forest with a thirst for souls, visitors can enter, but may never…leaf! 2. Have a head start on trick-or-treating. There’s a special sanctuary set aside for little “boos” and “ghouls” when Wallaroo Station transforms into “Pumpkin Palooza” – a festive fall harvest complete with a pumpkin patch, scarecrows, friendly farm animals and trick or treating. A sweet thank you to our boo-rific sponsors Tampa International Airport, After Hours Pediatric Urgent Care, Power Crunch and Land Rover Tampa! 3. Dress up with us! Boos and ghouls of all ages are invited to arrive in their most spooktacular attire, animal costumes are encouraged as well! This is a family affair, keep it G!